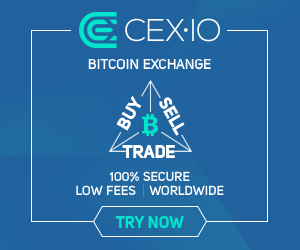 CEX.IO is the place for everyone who wants to simply buy and sell crypto coins. Deposit funds using your VISA/Mastercard or bank transfer. Instant buy and sell Bitcoins at a fair price is guaranteed. Nothing extra. Advanced order matching algorithms are backed by unique trade engine. Order book liquidity allows to execute high volume orders and apply market making trading, and scalping strategies. Complaint with security standards, we guarantee safety of your assets and data.